The efficacy of the polyurethane foam in doors and windows. 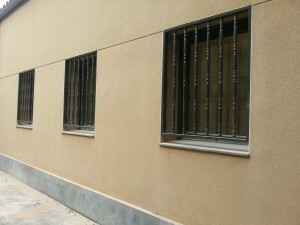 Work done in the village of Vacarisses near Barcelona. 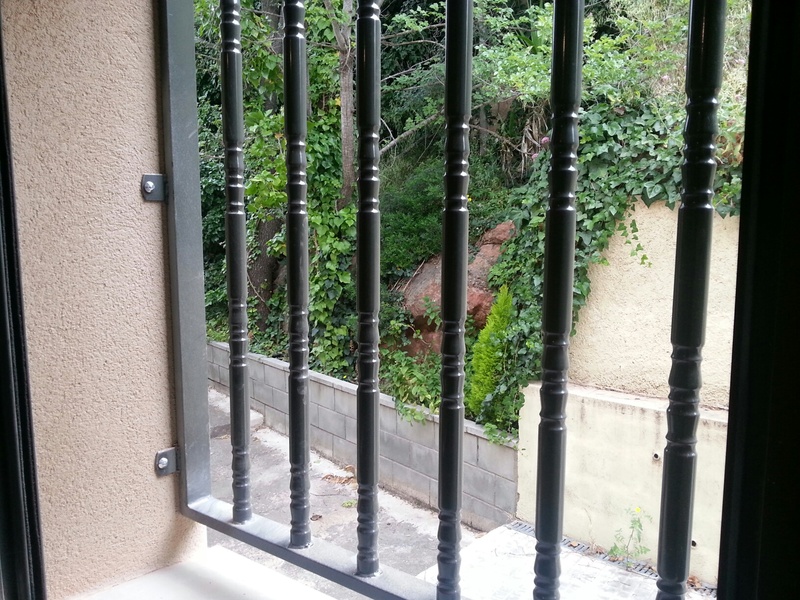 Apart from the aluminium doors, windows and a cabinet type enclosure exterior of this house, we also installed steel grates special ral lacquered ornamental pattern, which have good value and great acceptance in the market. 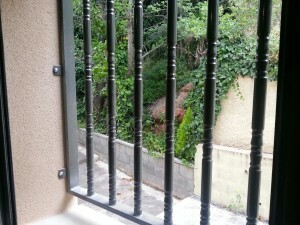 The steel bars are a good protection both physically and face of a house, highly recommended for tranquility in houses easily accessible, as are self-locking security shutters. To fit use hydraulic percussion drills and high strength bolts. Once installed, put plugs in steel screws in order not to be removed. Normally leave a space at the bottom in order to facilitate cleaning of the window sill. There are different models and finishes to choose from fixed or mobile bars, adapting well to tastes and needs of each client. The installation time of these pieces is very low, as we have quality tools and skilled labor for any job. Check prices and any questions you may have, we will respond without compromise.